… nothing happens for ages and then a load comes along all at once! Young learners love making and playing them and they’re great for revising colours, numbers, giving orders, etc. The lady sitting next to me exclaimed “ohh, how creative you are!” I had to bite my tongue not to correct her, after all; she’s entitled to her opinion. That was my last brush with creativity until this week, when I’ve been buried alive under the stuff. Firstly the teacherholics have been asked to edit the ETAS journal Special supplement on the subject next summer. In case you don’t know teacherholics is a group of teachers who meet about once a month in Geneva, the name came from my partner-in-crime Karen. 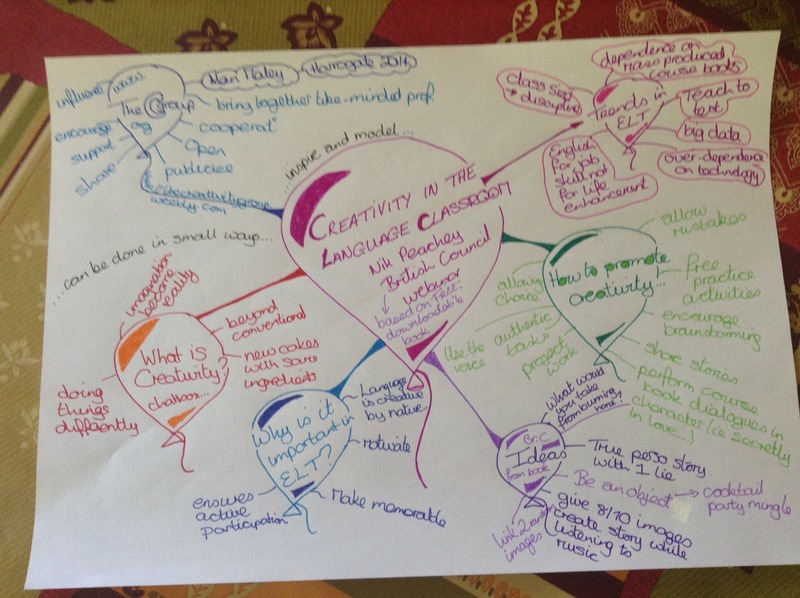 Then I came across the recent British Council publication, Creativity in the English Language Classroom which you can download for free, as I have done! Become a knowledgeable teacher – I’m trying my best, reading her article must be helping! Connect with other teachers – twitter I embrace thee! Not to mention ETAS, teacherholics and all that stuff. Become a collector of teaching ideas – I have so many notebooks, pc bookmarks, etc littered about the place that I could use a new idea in every lesson until I die and still have some left over, not that I do… However I’ve taken to writing new ideas in my weekly lesson planner, so when I come across one I try it out. Share your learning – doing exactly that here! Remove the blocks to creative thinking – that one is tough, it’s easy to be surrounded by motivated thinkers in the twitter sphere, harder on a rainy Monday morning in the staffroom. Start experimenting and reflecting on your teaching – this coming school year will definitely take place under the sign of CREATIVITY!-watch this space! Make Creativity a daily goal – you bet! OK, time to go, got to create…dinner! 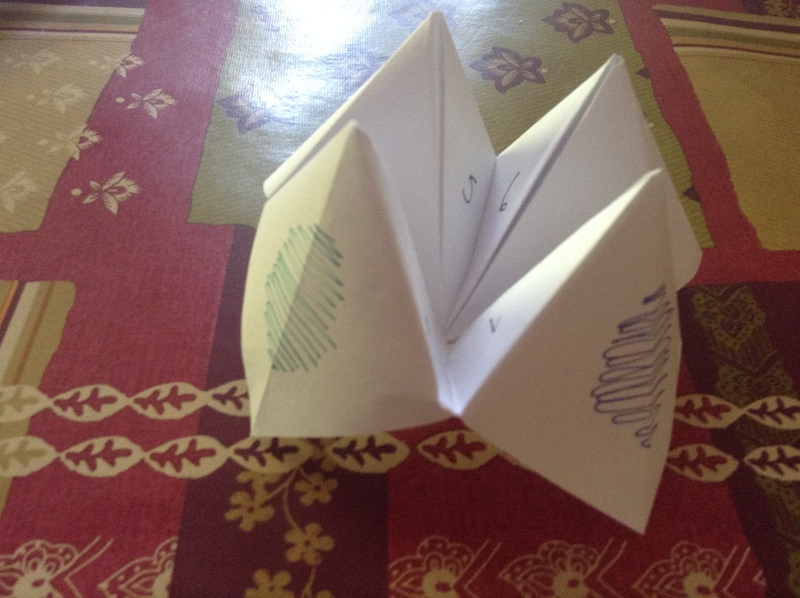 This entry was posted in Creativity, ETAS, teaching journal. Bookmark the permalink. Hi Rachael, great post! Thanks!